Dec. 1, 2017 1:55 p.m. The quarter-finals are set for the BC AAAA senior girls provincial championships, with two Fraser Valley teams guaranteed a spot in the semifinals. The Earl Marriott Mariners — the Fraser Valley champions — meet the upstart Seaquam Seahawks in one quarter-final on Friday (Dec. 1) afternoon. The Seahawks beat the No. 2 seed from Vancouver Island, Oak Bay, in the round of 16 earlier on Friday. The Mariners, meanwhile, dispatched Kelowna in their match. The second quarter-final features Lord Byng — who beat Heritage Woods — and the Handsworth Royals. The Royals beat the Mount Baker Wild in their earlier playoff game. Both of those quarter-finals are set for 4:45 p.m. on courts 1 and 2. 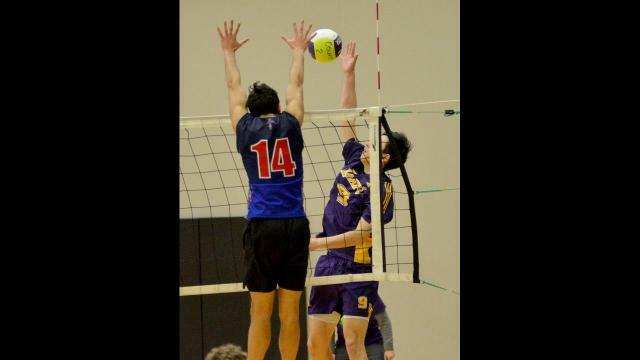 The other all-Valley quarter-final game has the Semiahmoo Totems (Fraser Valley No. 2) and Mission Roadrunners (Fraser Valley No. 3). The Totems beat Moscrop while the Roadrunners raced past South Delta in their respective round of 16 games. The final quarter-final game has the defending provincial champion Belmont Bulldogs battling Van Tech. Both of those games are at 6:45 p.m. on courts 1 and 2. The semifinals are set for Saturday morning at 9 a.m. with the gold medal match at 3 p.m.